Konami is known to produce quality games. No question about that. Most of us have played games from this company in the past and enjoyed it. Gradius, TwinBee, Silent Hill, Metal Gear Solid and Castlevania are examples that speak for themselves. 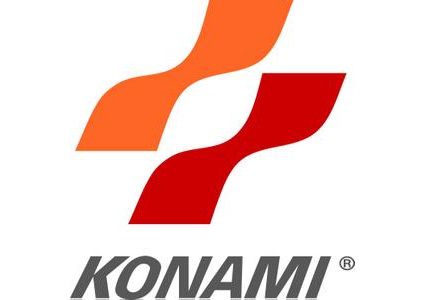 Konami has been around for a long time in the games industry. They had already established a big name for themselves in the beginning of the 1980’s with titles like Frogger and Scramble in the arcade sector. 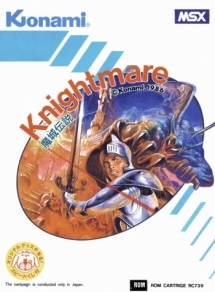 In 1986 they released a game called Knightmare for the MSX-platform. A game which was technically advanced for its time. We are going to have a quick peek at this classic today. The background is fairly simple. You control a knight named Popolon. Your mission is to rescue the Goddess of Love and Beauty, Aphrodite. She is being held captive by Hudnos, the evil Prince of Darkness. It’s up to you to free your love from the claws of evil. Are you up to the task? Knightmare is an upward-scrolling shoot’em up, which means that you watch the game unfold from a bird perspective. This was not very common back in the 1986 and the top-view graphics were considered sophisticated for its time. 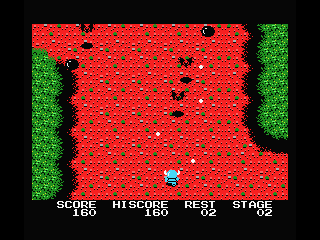 As in other shoot’em ups (later on referred to as shmups) you must survive an onslaught of dangerous enemies. They come in all shapes and forms like black blobs, skeletons and bats. Not only can they run into you, they can also hit you from afar with lethal objects. Fortunately you have quite an arsenal of weapons to annihilate your foes with. The classic bow is included, along with stuff like throwing-knives and boomerangs. All weapons have their pros and cons, so it’s important to have the right weapon at the right time. There are also power-ups you can collect by firing at question marks. How about a shield or more speed for example? Such blessing are always helpful in games like this. Hidden around the different stages are also extra lives. Knightmare is a very hard game. To complete your quest, you must have a lot of patience and practice. This is not uncommon when it comes to good shmups. Take the Gradius-series for example.. 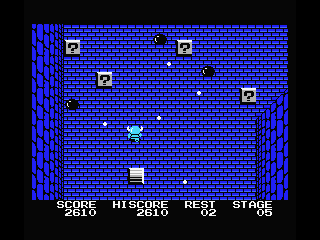 Nevertheless, it is not impossible to complete and you should be proud of yourself when you beat the final stage and boss. To sum it up, Knightmare is one of the better shmups I’ve ever seen. I was lucky enough to play it after it was released in the 80’s and I will never forget the fun and amazement I had with it. Highly recommended if you want a challenging shmup that will keep you entertained for a long time. Knightmare is great. I actually beat it earlier this year but I haven’t reviewed it on Blitzky… Maybe I won’t after you great article ;-). I LOVE the music. It’s impressive that you’ve managed to complete Knightmare! 🙂 Congratulations! I think it is a hard and challenging game.